Earlier in the year we reviewed a trio of Logitech wireless mice, these were the G603, G703 and G903. All these were highly impressive, so can Logitech’s G305 impress us as much as their other offerings? Well it’s off to a good start thanks to Logitech’s LIGHTSPEED tech, HERO sensor, ultra-low 1ms response time and highly impressive battery life. If you’ve read our G603 review, you’ll already be familiar with LIGHTSPEED and its capabilities, and it is great that we now get this tech in an even more affordable package. If you didn’t catch our review here is a brief overview. 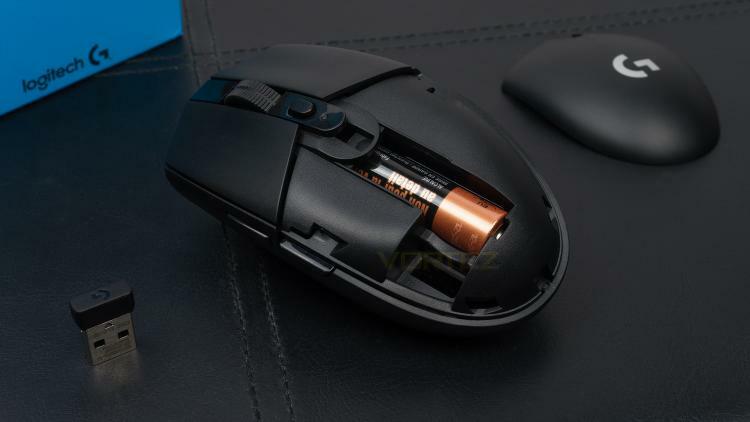 LIGHTSPEED is a form of wireless connection that is capable of both a high-performance mode and efficiency mode, this is great as you can switch between the two depending on what task you are carrying out. Furthermore, with this tech, a 1ms response time has been achieved which is brilliant - especially when gaming. The 12,000DPI HERO sensor is also impressive and is capable of delivering accurate actions with velocities over 400 IPS; and even manages this feat without the need for any smoothing, acceleration or filtering. One more stand-out feature is the up to 250 hours of battery life when using a AA battery, that is partially thanks to the technology mentioned above and the software that can alter the G305’s behaviour to make it even more efficient. All this sounds mighty impressive, but there is still one question, and that is can it rival a similarly priced wired offering?….. Let's find out. G305 is a LIGHTSPEED wireless gaming mouse designed for serious performance with latest technology innovations at an affordable price point. It’s next-generation wireless gaming, now ready for any and every gamer.